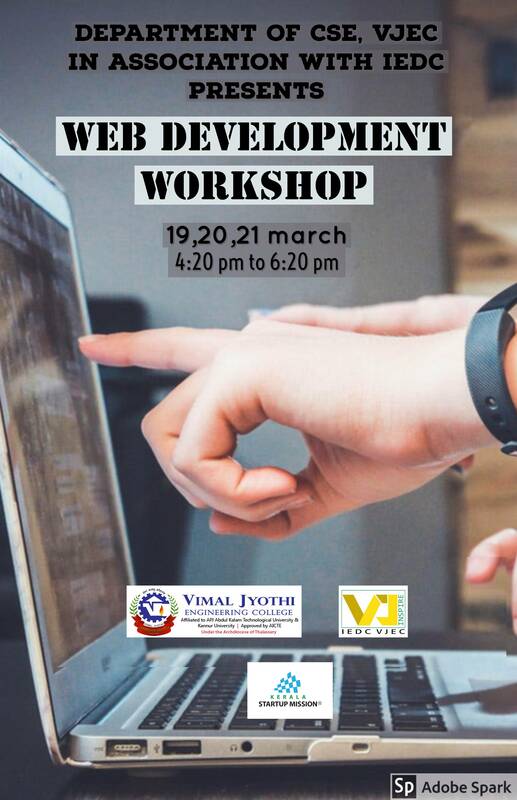 Department of Computer Science and Engineering in association with Innovation and Entrepreneurship Development cell, VJEC organizes a workshop on WEB DEVELOPMENT on 19th , 20th and 21st March 2019 at 4: 201 PM to 6: 20 PM. 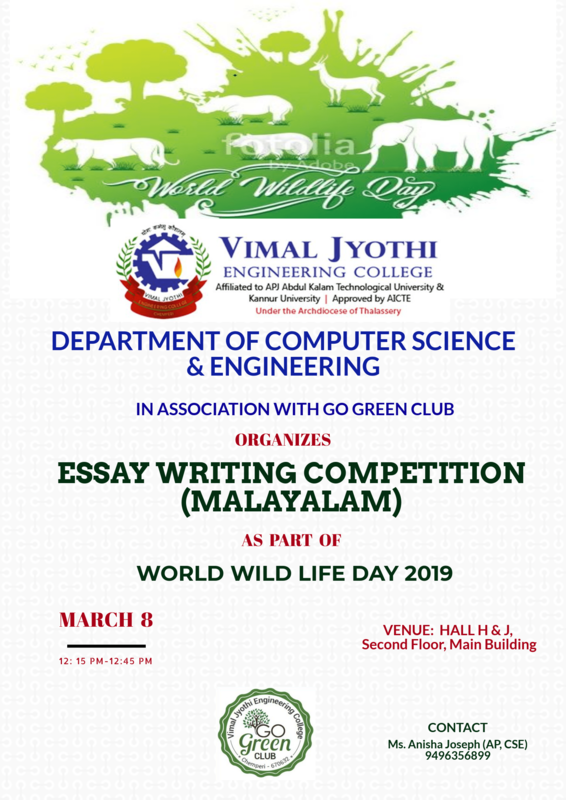 Department of Computer Science & Engineering organizes an ESSAY WRITING COMPETITION (MALAYALAM) as a part of World Wild Life Day Celebration of Go green Club. 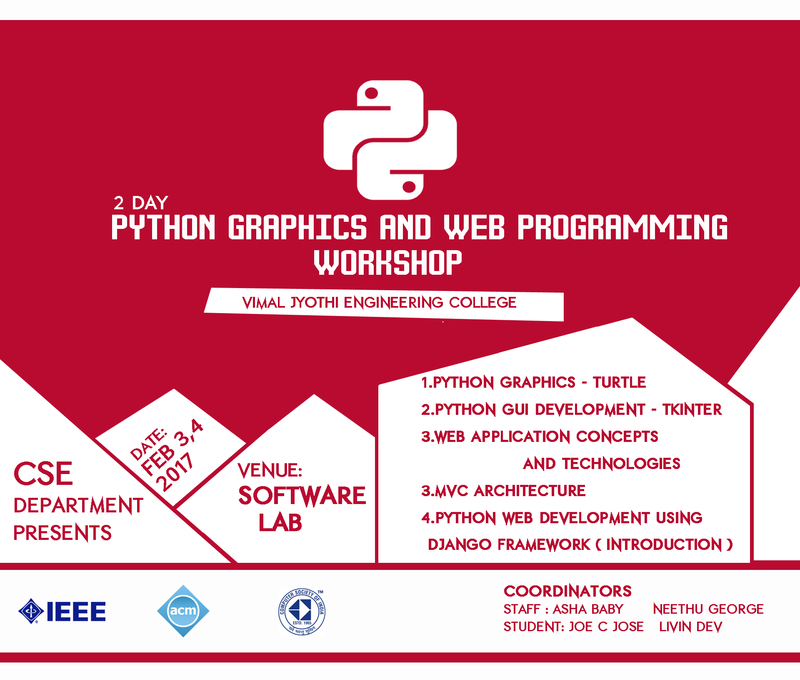 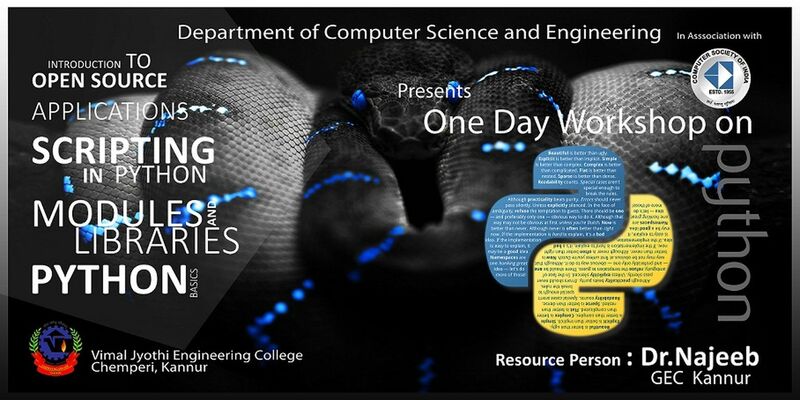 Computer Science Department is organizing a two day workshop on "Python Graphics and Web Programming". 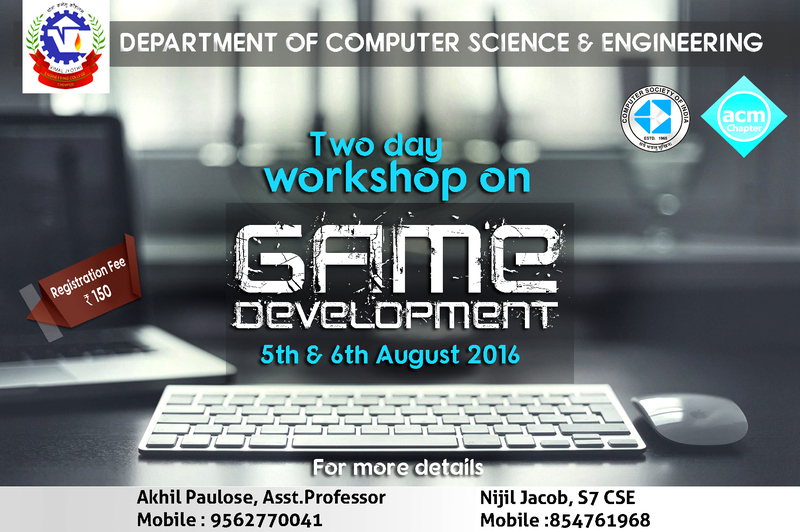 The department of Computer Science and Engineering is planning to organize a two day workshop on "GAME DEVELOPMENT" on 5th and 6th August 2016. 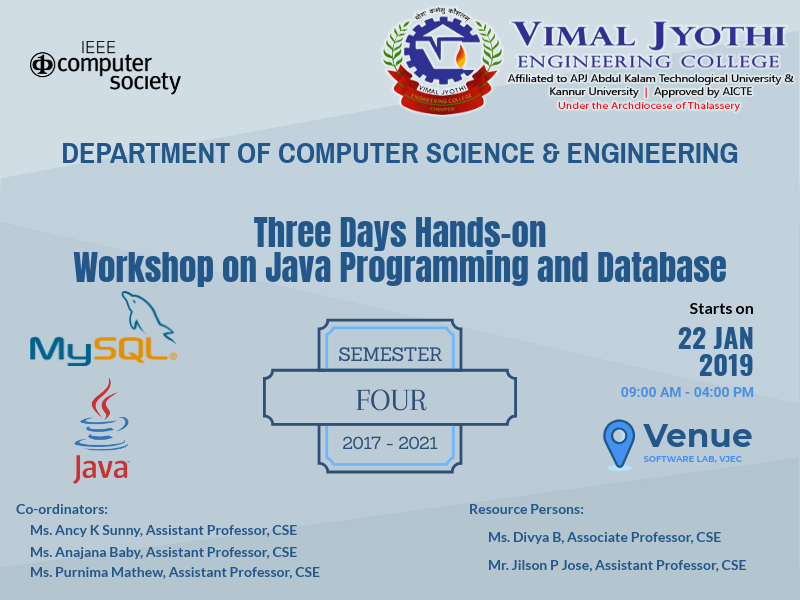 The sessions will be handled by Mr.Rejoy(IIT Guwahati) and Mr. 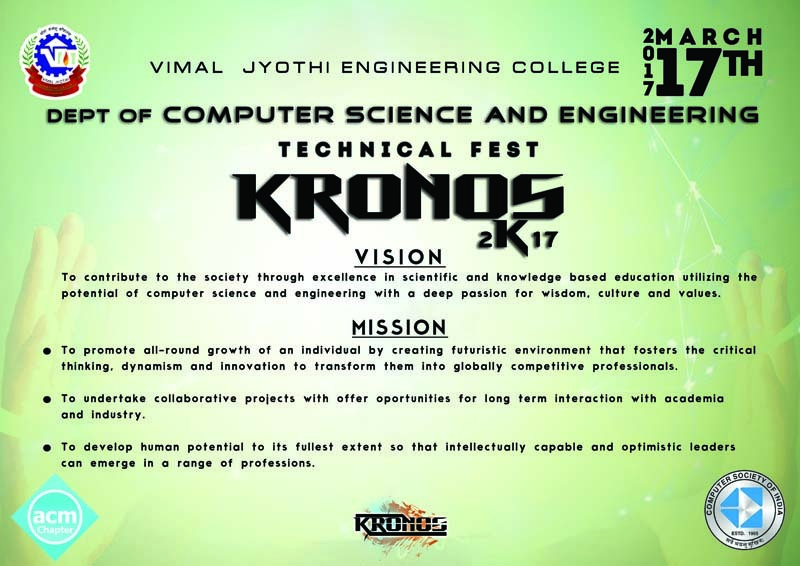 Basil K Eldose (Oriental group of Institutions, wayanad). 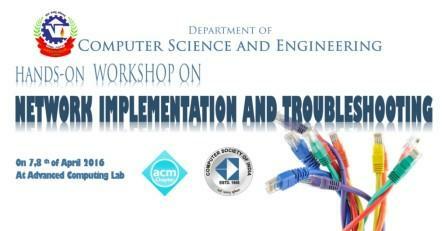 The workshop will be held at Advanced Computing Lab. 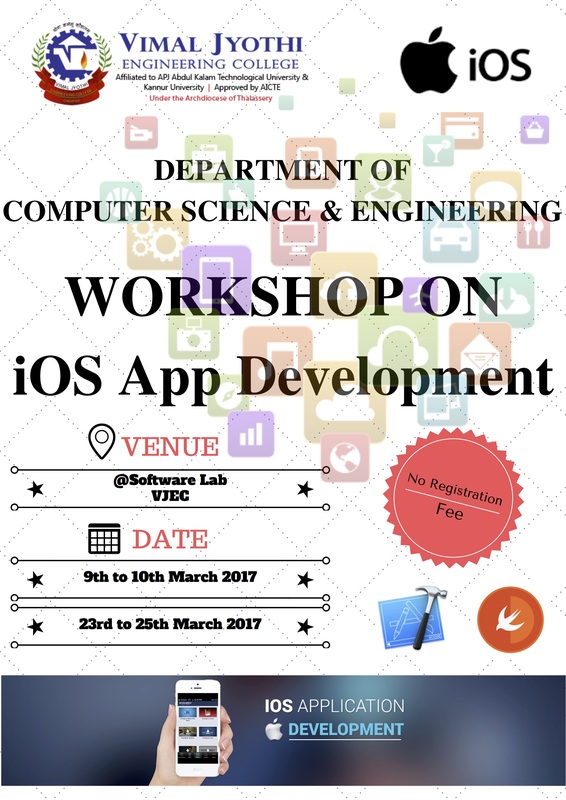 The detailed schedule of the workshop is attached herewith for your perusal.We, the organizers cordially invite you for attending the workshop. 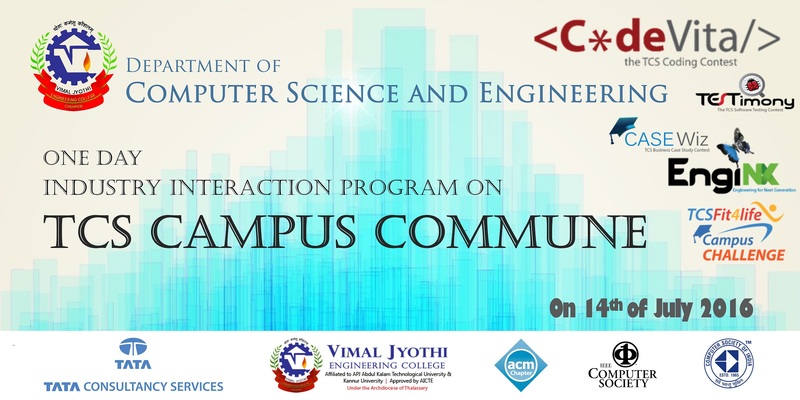 Department of CSE organized an Industry Interaction Program with TCS titled 'Campus Commune' on 14th July 2016. 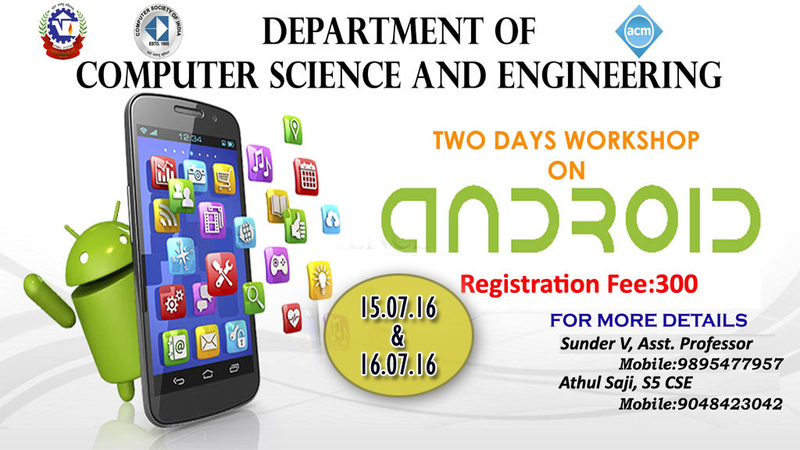 06-Jul-2012|A Session On "PM IPV6 - HC - MIH"
Department of Computer Science & Engg. 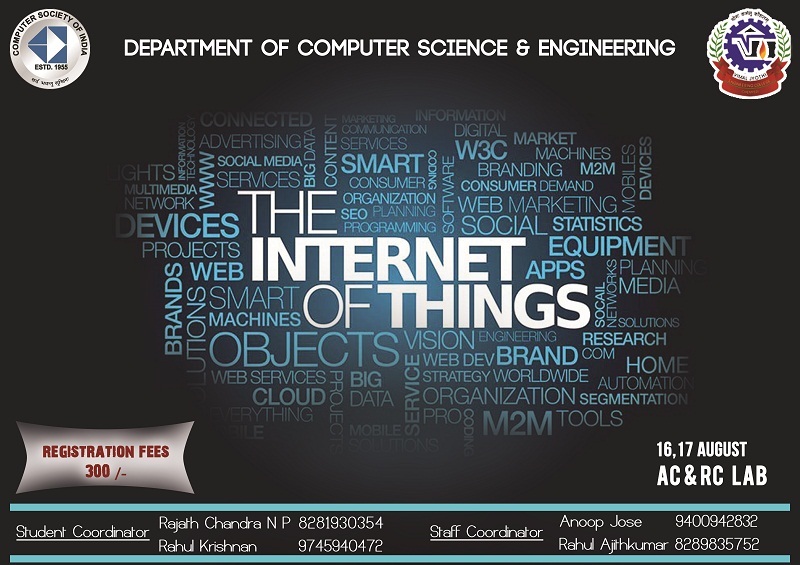 is planning to organize workshop on the topic 'The Internet of Things' on 16 & 17 August .